The betta featured in the picture above is a Blue Crowntail Betta Fish. The crowntails are one of the most popular (and available) betta fishes around. They have spiky fins, and when extended, it looks like a crown. The crowntail’s tail generally has the form of a teardrop. They tend to be less aggressive than the other types of bettas, but even so, males cannot be placed together. As most species, the female crowntail and male crowntail betta fish should only be together for the breeding period. 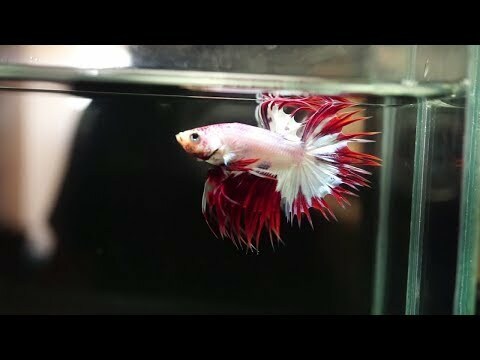 Do you know anything else useful about the crowntail betta fish that you think I should mention? Or other fun betta fish facts? If so, please comment on my post! And remember, the best betta tank is a clean betta tank! Just wanted to let you know that I added a few more things to the list above, also a video and a few more pics, to help you identify these beauties a bit better. I realized that I didn’t really have enough information. Hope it helps!